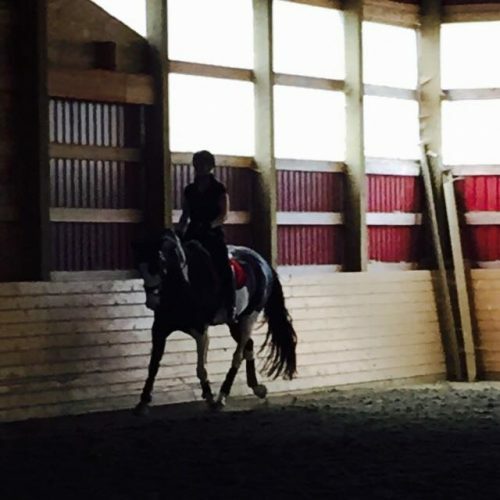 At SL Equine we use progressive training to teach horse and rider how to problem solve and achieve harmony…..
We specialize in teaching the correct basics for horse and rider, and in establishing a solid foundation necessary for an enjoyable and successful partnership. Through an effective combination of classic European methodology and “natural” horsemanship you get solid training from the ground up for you and your horse. SL Equine has had the privilege to work with hundreds of horses of all breeds, disciplines and histories, each time with the same unwavering objective: to teach the horse trust and respect and to provide it with the proper skills and work ethics it will require in any activity or situation. With excellent stable management and horsemanship skills, SL Equine proudly functions in accordance with Canadian Pony Club and Equine Canada guidelines. Safety is always our first priority for horse and rider. Let SL Equine ensure that your relationship with your horse is a happy and positive one. Through our extensive world-class experience, our knowledge, and our passion, we can assist you in the development and realization of your horse’s greatest potential. ………….Because Good Training is for Life.